The XTERRA Rotorua Festival is an awesome chance to get outdoors, get active & get inspired. This event has plenty of activities to get your blood pumping while seeing the beautiful scenery around the Blue Lake and Whakarewarewa Forest. Save the 7th April in your diary so you don’t miss it. Find out More here! The Rotorua Marathon is happening on the 4th of May. People of all ages and abilities get moving and take a lap around stunning Lake Rotorua. There is something for everyone, so get your running – or walking – shoes on and join the thousands, who are “taking on the Lake”. Here’s more info! Rotorua is celebrating National Alpaca day on May 5th . This a great chance to take the kids and spend the day visiting Surico, our local Alpaca Farm. Plenty of fluffy family fun for the day and entry is FREE! Find out more here! The Matariki Glow Show is a captivating display of glow-in-the-dark characters from Maori legends. Rich in Maori Culture, the show is sure to keep the attention of anyone who attends. Find out more about the Glow Show here and be sure to get tickets for their next session. If you’re looking to try something new with your family, the Ice Skate Tour will be in Rotorua from the 5th till the 9th of June, 2019. Gather the family and head down to Western Heights Primary School be part of the icy action! Find out more info here. As always, there are heaps of opportunities to challenge yourself or do things with your family in Rotorua. Make sure you get involved for these exciting local events. Rotorua is waiting for your next visit and so are we! 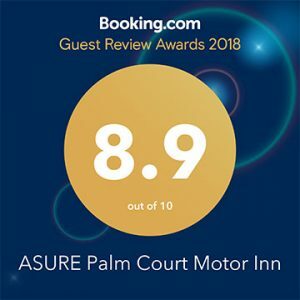 If you want to know more about how Asure Palm Court Rotorua can help you have an awesome time in our city, contact us and we can help. We look forward to seeing you soon!